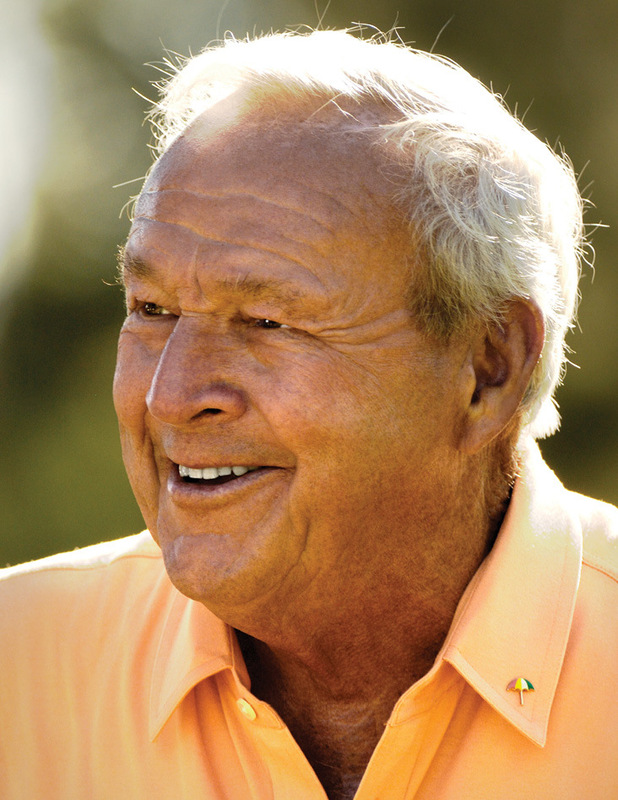 Arnold Palmer (1928-2016) was born in Latrobe, Pennsylvania, the son of the golf professional and course superintendent of Latrobe Country Club. He became many things to many people... world famous golf immortal and sportsman, highly-successful business executive, prominent advertising spokesman, skilled aviator, talented golf course designer and consultant, devoted family patriarch and a man with a down-to-earth common touch that made him one of the most popular and accessible public figures in history. Golf played an important part in his life through high school and Wake Forest College, climaxing with his victory in the 1954 U.S. Amateur Championship. Months later, he turned professional and became one of the greatest and most popular golfers of all time. His fans, known as Arnie's Army, witnessed him compile 92 professional victories, highlighted by seven major championships - four Masters, the 1960 U.S. Open and two British Opens - and induction as one of the original 14 members of the World Golf Hall of Fame. He received countless awards and other recognitions, notably the Presidential Medal of Freedom in 2004 and the Congressional Gold Medal in 2012. A Life Well Played was his 13th book.